Advise Need a 1TB drive that can be hooked to a home network. Discussion in 'PC Hardware and Software' started by JD666, Sep 12, 2012. Now I am not sure how this will work exactly ( noob here ). 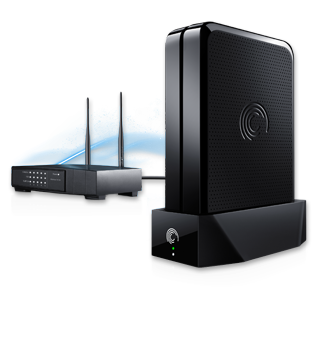 What I need is either a storage drive that can be hooked to a wireless router and shared on the home network, so that it can be accessed for downloading and streaming content. Or else is there something that is like an All-in-one - Router + storage?? What devices will access the data on the 1TB HDD via the WiFi ? 2xLaptops + 1 HD media player ( media player will access it thru a lan cable or thru a wifi dongle. What you need is a simple NAS device. there are various ones available on the market, whats your budget? No idea about the budget. How much would it cost. a. *GOOD* router with USB port with storage and printer support. I have belkin share but i dont like it's n band range. b. a powered usb hub. i use belkin 4 port. just connect the three and you are good to go. NAS is a costly solution and wont allow printer support. c. lan cable to existing router. MOZ and JD666 like this. - need more info, since Ill be hooking it up for my family, not for myself. And approximate idea on pricing on the first idea? belkin share costed my somewhere around 4.5k that time - dont remember the exact model number. the hub should be ~0.8k. hard drives - well, no clue, havent bought one in ages. jd, you know it's a rigid solution right?